Whenever I don’t want to worry about waking up to fix breakfast, one of the easiest way is to set the slow cooker to work while I sleep. I learned this recipe from my mother-in-law, though she cooks it over the stove while I found the lazy way out! The night before, wash and drain barley and place in a 5 quart slow cooker. Crush the dried beancurd sheets and add to the barley in the slow cooker. 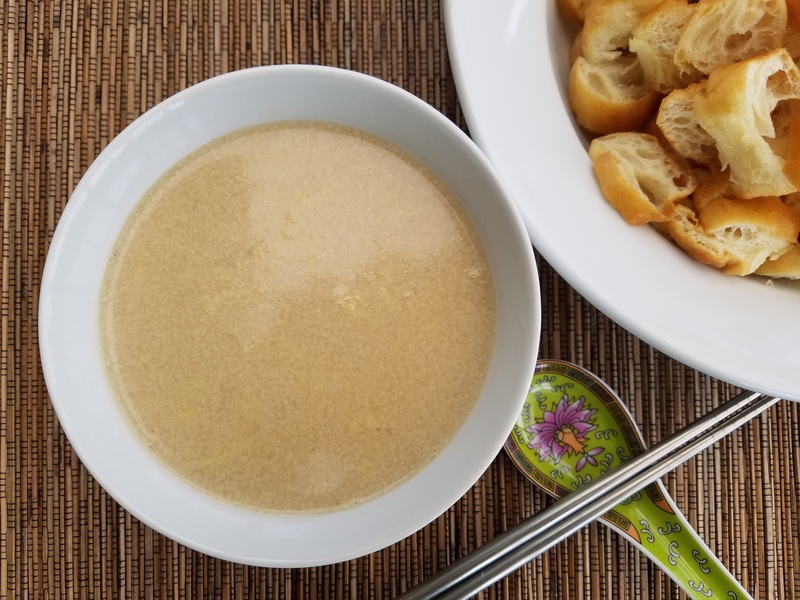 Bring 4 quarts water to a boil and pour over barley and beancurd sheets. Set the slow cooker to the desired setting. I set mine to cook at the low setting for about 8 hours. Take 2 eggs out from the refrigerator to bring it to room temperature the next morning. Enjoy your beauty sleep. 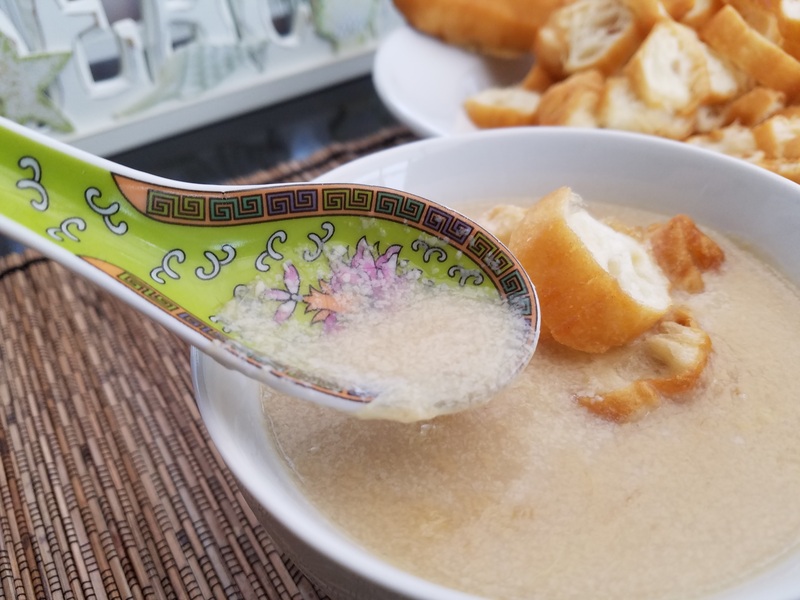 Wake up to the nice aroma of boiling beancurd soup. Transfer to a soup pot and bring the soup to a slow boil again over medium high heat. Add the rock sugar and stir until they are melted. Adjust to taste. 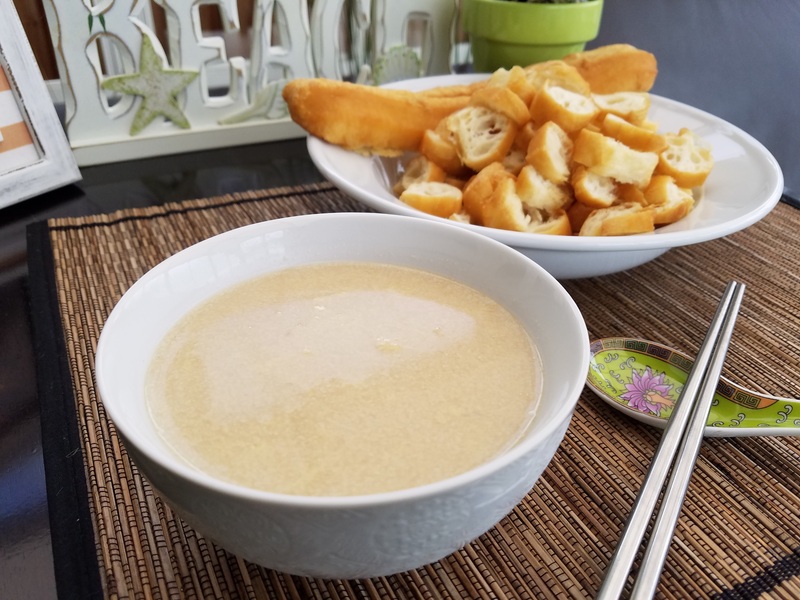 Beat the eggs and stir into the beancurd soup. Turn off heat. Keep soup covered until ready to serve. Prepare Chinese cruller. 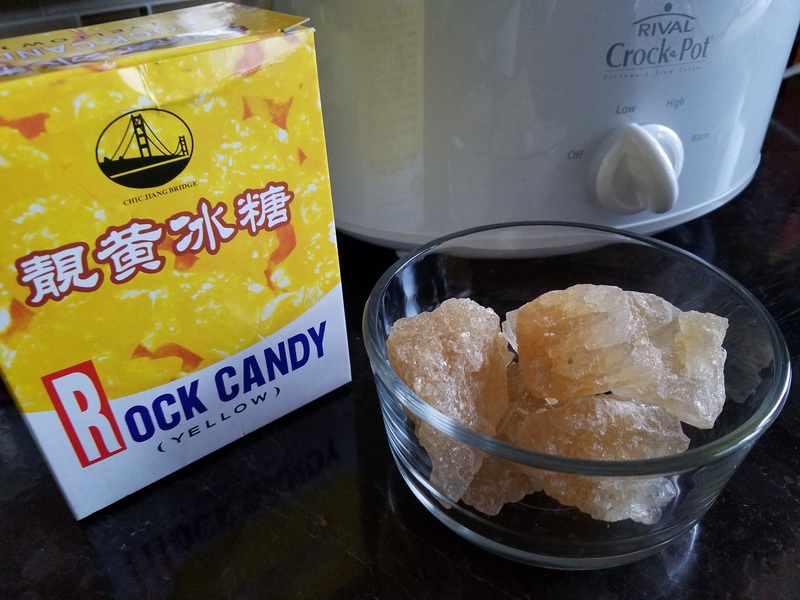 I get the frozen ones from the Chinese market and warm them up in the oven. Cut the cruller into thin slices. 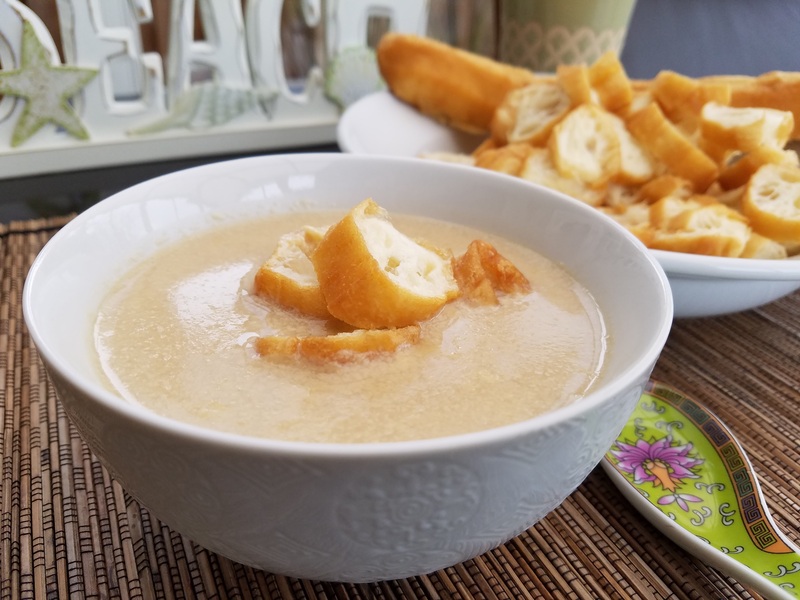 Ladle a bowl of beancurd soup and serve with warm crullers. It is heartwarming.